People put a lot of time and money into prepping their house for a sale but agency in Europe may take the cake. 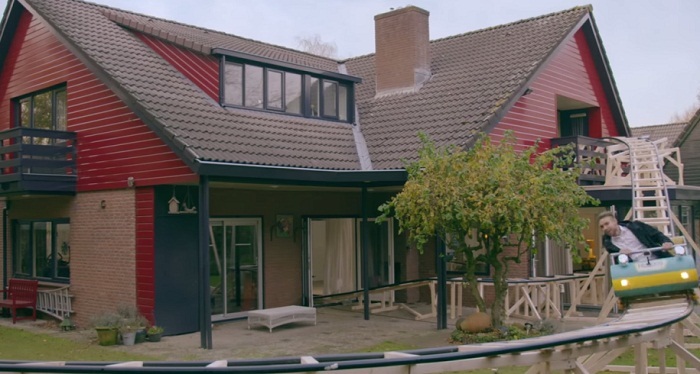 To make the open house process a little more thrilling, Huizen Promoter, a Dutch real estate agency built a rollercoaster ride throughout a home it was selling. Prospective buyers strapped in and held on tight while the makeshift thrill ride carried them through the home. Sure beats a simple kitchen reno when it comes to trying to impress prospective buyers.